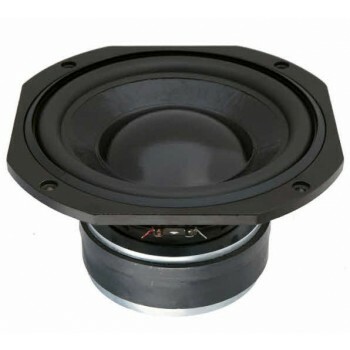 Volt SB220.1 8" Sub Woofer Driver £196.00 excl. VAT. High sensitivity, low colouration, superb Performance, ideal for compact enclosures. Volt SB220.1 8” Sub-Bass Driver. Optimised for Sub-Woofer performance in small sealed, vented or bandpass enclosures. Features a doped cone for minimal colouration, and large excursion capability from a symmetrical field magnet system with a long coil. Excellent transient stability from double rear suspensions at high drive levels. The Thiele-Small parameters are optimised for easy use in smaller enclosures for extended Sub-Woofer performance.